Publication: Pacif. Railr. Rep. 4(5): 148. 1857. 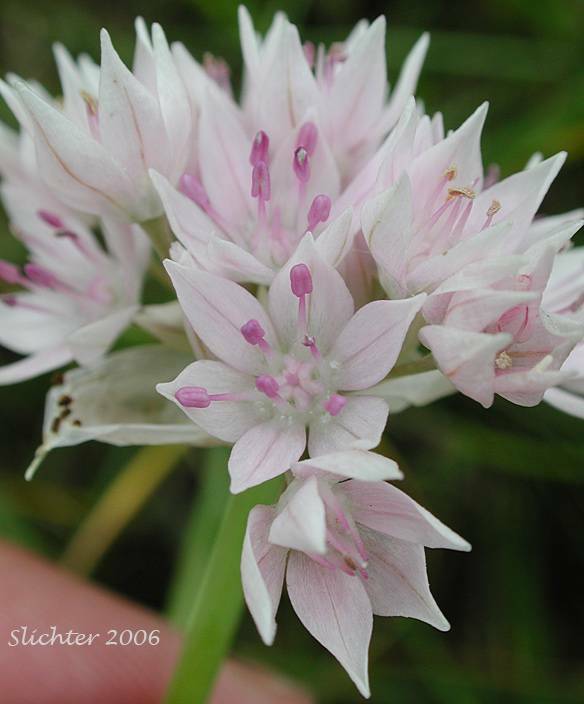 Notes: FNA26: "All three chromosome races of Allium amplectens are widespread. The triploids are achiasmatic, causing a breakdown in the first meiotic division. This is followed by a normal second division resulting in pollen dyads that are, presumably, nonfunctional; seeds are produced by apomixis. The diploids and tetraploids produce normal pollen, in tetrads, that appears to be functional." Allium attenuifolium Kellogg var. monospermum (Jeps.) Jeps.